Indore is a quintessential Indian city with a cosmopolitan buzz. It has all the markings of a charming tourist spot, thanks to its history and heritage that are preserved even in the face of a rising culture of shopping malls and chic restaurants. However, if you find the crowd or the summer in Indore too much to put up with, then just relax. There are several water parks in Indore where you can enjoy a day of fun in the cool waters of the swimming pools with exciting slides. Not satisfied? The hill stations near Indore offer you the perfect escapade, wherein you can spend your weekend in the most laid-back manner possible. A scenic combination of lakes, valleys, and verdant greenery, these hill stations are the key to breaking the monotony of city life and refreshing your mind and body. Sounds enticing, isn’t it? So, here comes our list of the most popular hill stations near Indore, Madhya Pradesh. You will find a lot of budget hotels in the city where you can book your stay and start your tour of the city and its nearby hill stations. The ancient town of Mandu or Mandavgad counts among the most interesting places for a weekend trip due to its spell-binding architectural beauty. It is perhaps the only hill station near Indore that is also a fortress town. Standing on a rocky outcrop, the fort has been defining the identity of the place for centuries now. The name, Mandu, is believed to have come from the words, Mandapa and Durga. Ancient inscriptions indicate that it was a thriving town in the 6th century. 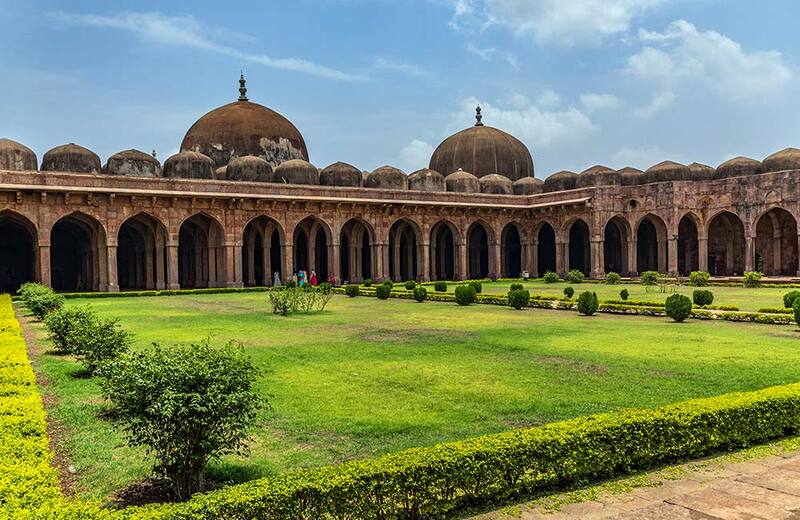 Situated at a height of 633 meters, Mandu stands on the Vindhya Range. Unlike the other famous hill stations near Indore, there is more to this place than its natural beauty. Mandu depicts history in the most exciting manner possible. Its marvelous monuments are living examples of grandeur while the twin lakes remain silent witnesses to its rich history. There are a number of architectural wonders you can explore while you are here, such as Roopmati’s Pavilion, Rewa Kund, Jami Masjid, Hindola Mahal, Baz Bahadur’s Palace and Shri Mandavagadh Teerth. A walk through this hill station will make you feel like you are walking through a bygone era, when palaces, imperial conquests, and royal romances were the order of the day. An off-beat hill station close to Indore, Toranmal is the perfect combination of abundant natural beauty and tranquil ambiance, sprinkled with an overdose of greenery. 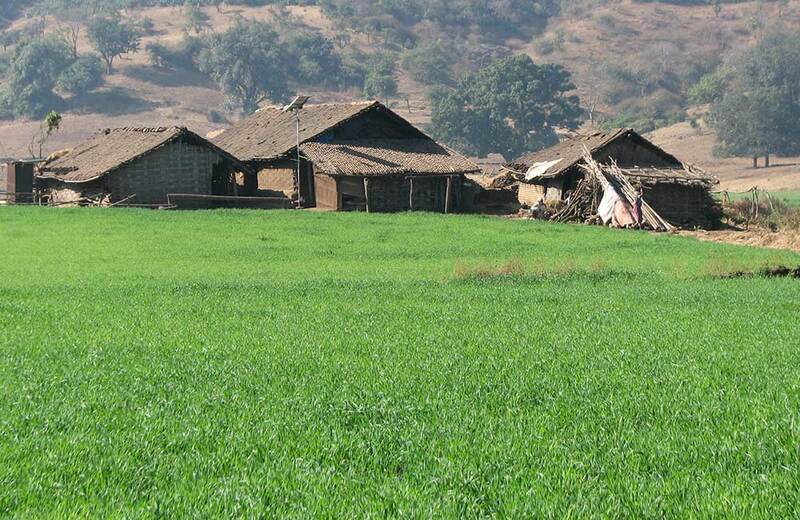 Nestled in the spectacular Satpura Range in the state of Maharashtra, Toranmal is blessed with a salubrious weather. Once you step into this wonderful land, you will be welcomed by a plethora of natural and man-made marvels, each exuding its own charm. Toranmal’s attraction isn’t limited to being a regular tourist destination. Since the place has a number of shrines that reflect the region’s traditions and culture, it holds a special fascination for history buffs and those who are interested in exploring religious sites. It is believed that the place was once a tribal area, which derived its name from a local goddess, Torana. While at this place, you can check out a number of attractions, including Yashwant Lake, Sunset Point, Gorakshanath Temple, Lotus Lake, Aawashabari Point, Check Dam and Sita Khai, to mention a few. It is one of those weekend getaways near Indore where you can discover serenity in the lap of nature, away from the buzz of city life. Fancy visiting a place that is believed to have a connection to the legendary Pandava princes from the Mahabharata? Then Chikhaldara fits your bill perfectly. This enchanting hill station in Maharashtra is believed to be where Bheema killed the wicked Keechaka in a major fight and dumped him in the valley. As such, the place was called Keechakadara, which later changed to Chikhaldara. Snuggled at an altitude of 1118 meters, Chikhaldara boasts of being the only coffee growing region in this part of the country. As you make your way to this hill station, the enticing aroma of coffee welcomes you. But there’s more to this lovely hilly town. Vibrant flora and fauna, spectacular viewpoints, and splendid lakes are just a few of the delights that await you here. Its breath-taking beauty can be enjoyed from several spots, such as Hariken Point, Sunset Point, Mozari Point, Devi Point, and Prospects Point. If you are looking for a summer retreat near Indore to enjoy nature in pleasant climatic conditions, Chikhaldara is your best bet. 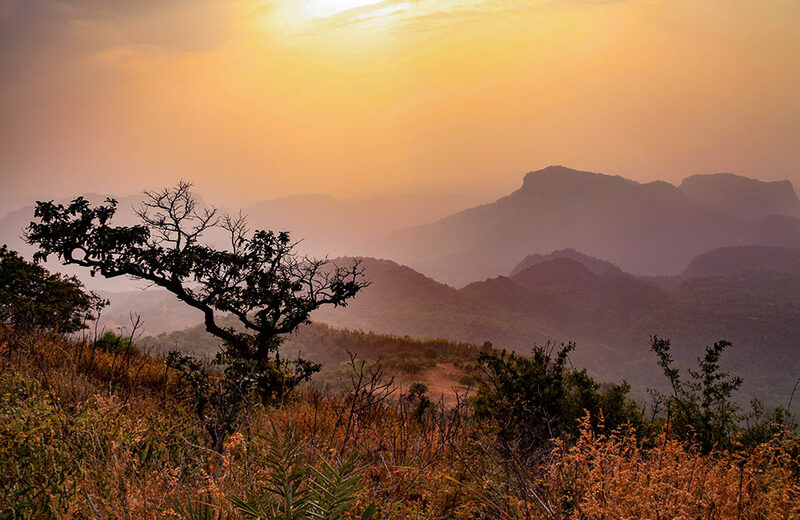 Abode of awe-inspiring nature, Pachmarhi is nestled in a valley of the Satpura Range. Thanks to its incredible beauty and strategic location, this hill station near Indore, MP is known as the Queen of Satpura. It is believed that the name Pachmarhi is a combination of two Hindi words – Panch (meaning five) and Marhi (meaning caves). Legend has it that the five ancient caves on this hill station were built by the Pandava princes during their exile. Standing at an altitude of 1067 meters above sea level, this enticing destination in Madhya Pradesh is characterized by myriad attractions like dense forests, clear streams, sparkling waterfalls, deep ravines, ancient caves, and all-pervading greenery. 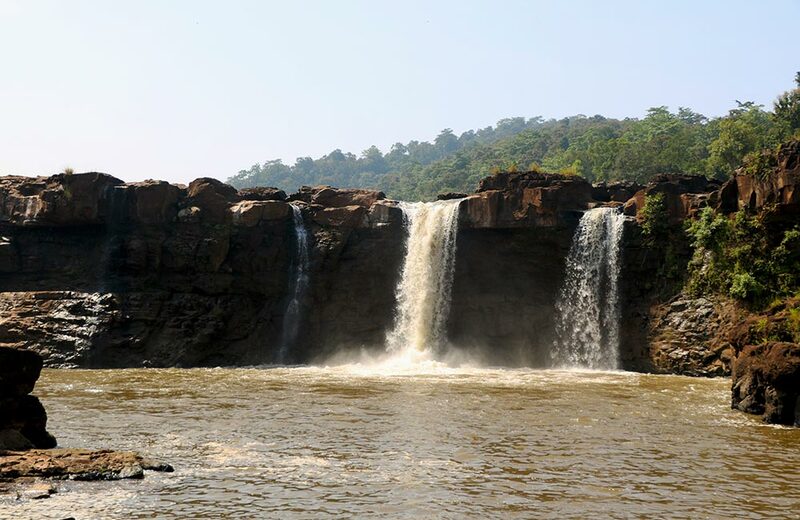 Apart from the abundant natural wonders, Pachmarhi also boasts quite a few impressive man-made monuments, like Christ Church, Chauragarh Temple and Pachmarhi Catholic Church. You can see a lot of cave paintings in the forests of this hill station, some of which are around 10000 years old. Untouched by the maddening crowds often seen in other popular hill stations, Pachmarhi still retains its charm as a serene holiday destination. 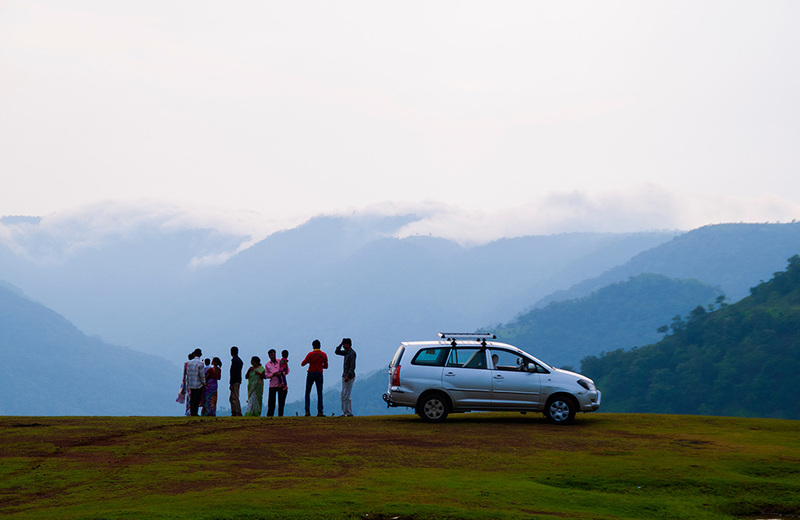 The enchanting Western Ghats has many gems hidden in its green fold, one of which is Saputara. This quaint hill station is one of the most charming tourist places located in Gujarat. It can be included in the list of hill stations near Indore that have managed to elude the clutches of commercialization. You can expect to find a place unspoiled by rampant tourism, and holding on to its natural charm and beauty, just as you reach here. The name Saputara translates into “the abode of serpents”. As you make your way through the undulating mountains, you will come across dense forests interspersed with dancing waterfalls, rolling down gleefully against a green backdrop. Winding roads will lead you to lovely spots that offer panoramic views of the surrounding areas. During monsoons, the landscape awakens in myriad colors through blooms of every shape and size. It is one of the best hill stations near Indore for trekking or spending some serene moments in the company of your beloved. Speaking of spending time with dear ones, Indore has a number of pubs where you can relax over a drink or two after a long day of sightseeing. When it comes to the beauty of a hilly destination, size doesn’t matter, and Matheran in Maharashtra proves it beyond any doubt. One of the smallest hill stations in India, Matheran is nestled in the Western Ghats. Standing at an altitude of about 800 meters above sea level, it is everything you can expect in a wonderful weekend spot. The name, Matheran, means “forest on the forehead (of the mountains)”. Thanks to its proximity to several metropolitan cities, including Mumbai and Pune, this place sees a constant stream of visitors all year round. But, Matheran’s main drawcard is its viewpoints, including the Panorama Point that offers a complete 360-degree sight of the surrounding area as well as the town of Neral. You can also enjoy dramatic sunrises and sunsets from here. If you move to Louisa Point, you will be mesmerized by the incredible view of Prabal Fort. 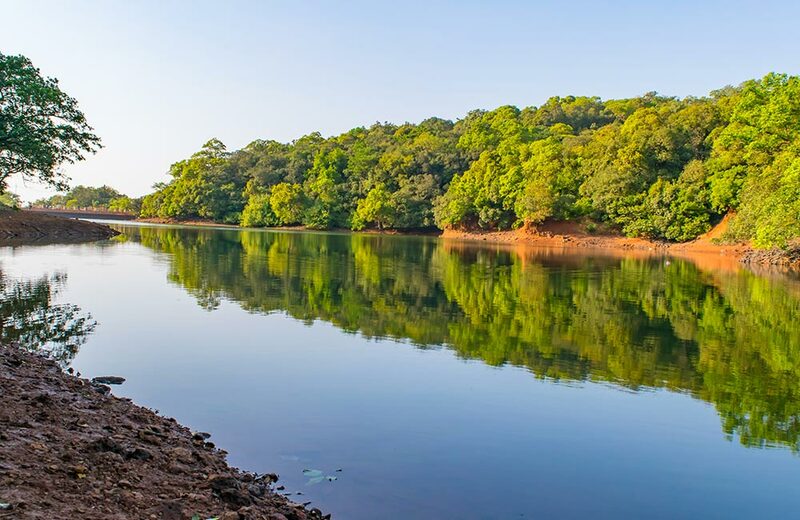 There are a number of other viewing points, such as Heart Point, One Tree Hill Point, Porcupine Point, Monkey Point and Rambagh or Rambaug Point. You can explore all these and more if you plan a two-day visit to Matheran. There are many hotels in this hill station, so you don’t have to worry about accommodation. Whether you are looking forward to spending a romantic weekend with your beloved or going out on a trip with friends to escape the boredom of city life, these hill stations are just the right options. But, there are hordes places to visit in Indore as well that will keep you engaged during your time in the city. Also, do not forget to get a taste of the delicious cuisine of this region at the restaurants in Indore. Life is short, so never say no to a good drink, delicious food, and of course, a holiday in a great hill station!